The Monsterologist is in: Introducing an artist-owned indie shop specializing in some truly creepy and spooky items you can’t find anywhere else. In this edition of Monster’s Toy Box, I’m super elated to bring to you something a little off the beaten path. 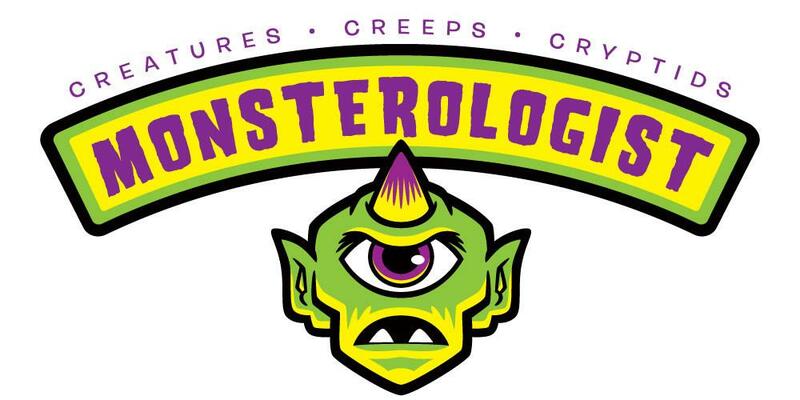 We recently had the pleasure of partnering up with one of the coolest companies out there, Monsterologist.com. Monsterologist is a brilliant, unique and highly original company, owned and operated by one man, Mr. George Coghill. It offers extremely rare and exquisite content, not available anywhere else in the world. If you’re not familiar with him yet, you owe it to yourself to take at look at this one of a kind company. 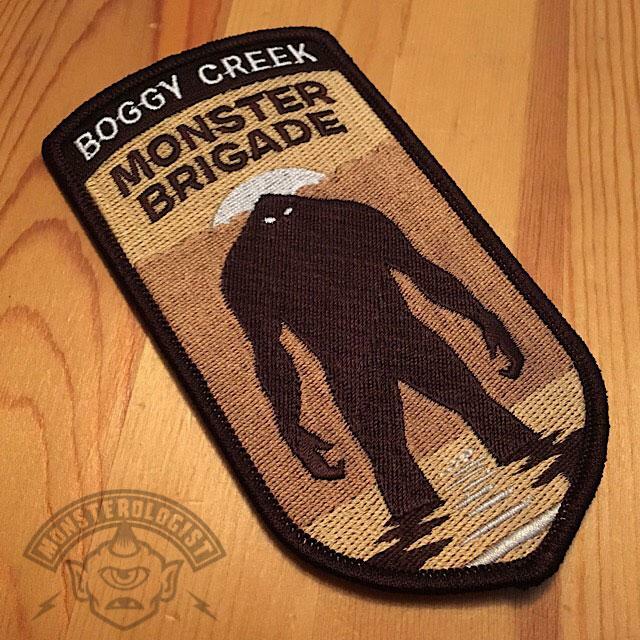 The company’s main source of revenue is its exclusive patches, which can only be found at Monsterologist.com. The specially drawn and hand crafted patches are hot sellers and continue to gain more and more interest with every passing year. 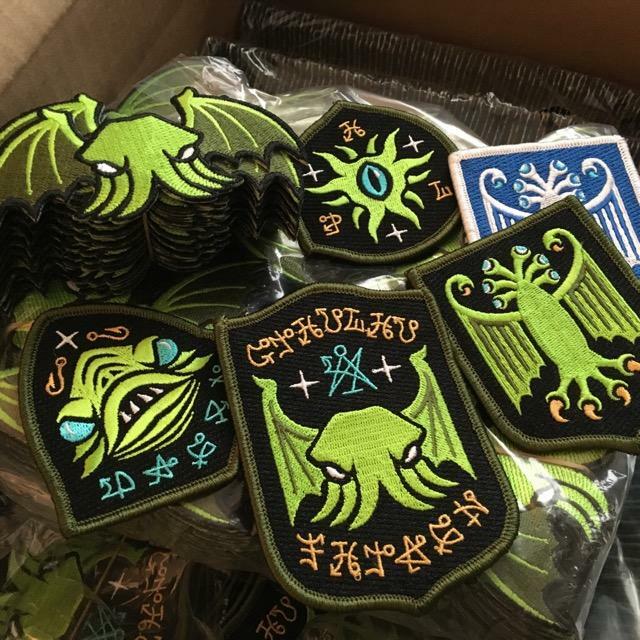 The company recently finished and shipped the rewards for their 11th Kickstarter campaign, featuring a Lovecraft/Cthulhu patch, button and sticker set. 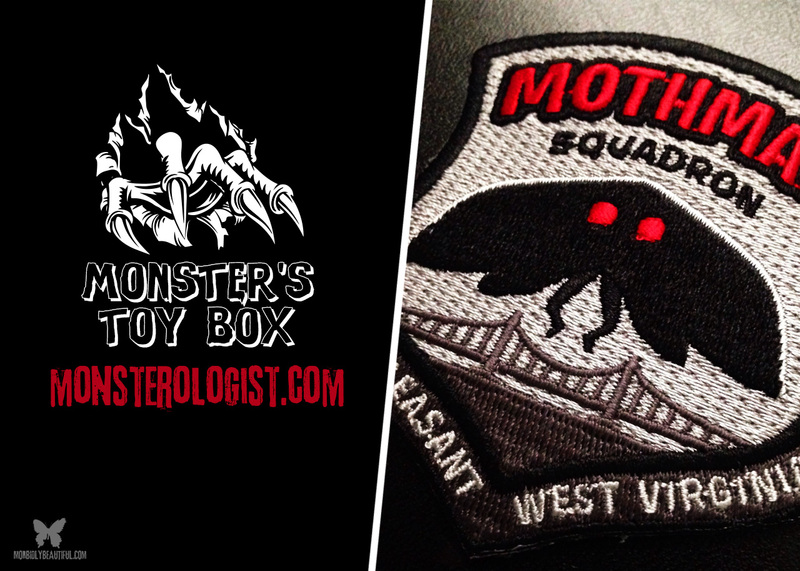 Monsterologist sells some seriously brilliant and badass patches and pins, as well as must have sets like the motorcycle club patches for classic Halloween creatures and the military style paranormal patches. There’s also a really genius ghost-themed police badge set, as well as an up-coming classic horror movie monster set. 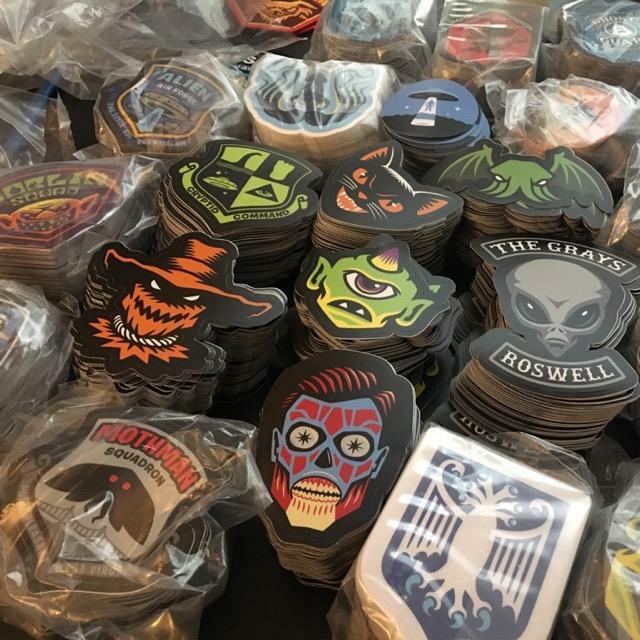 In addition to the patches, the company also sells a handful of specialized buttons, stickers and even some t-shirts. At an early age, Coghill was fascinated with drawing things like skeletons, monsters, Bigfoot, and naturally Halloween-themed subject matter. After working as a freelance illustrator for nearly a decade, he did a little soul searching and decided it was time to create some of his own original ideas. As a way to clear his internal creative cobwebs, he began doing a “draw something every day and share it online” challenge. During that time, one of the drawings he sketched began garnering a ton of interest. 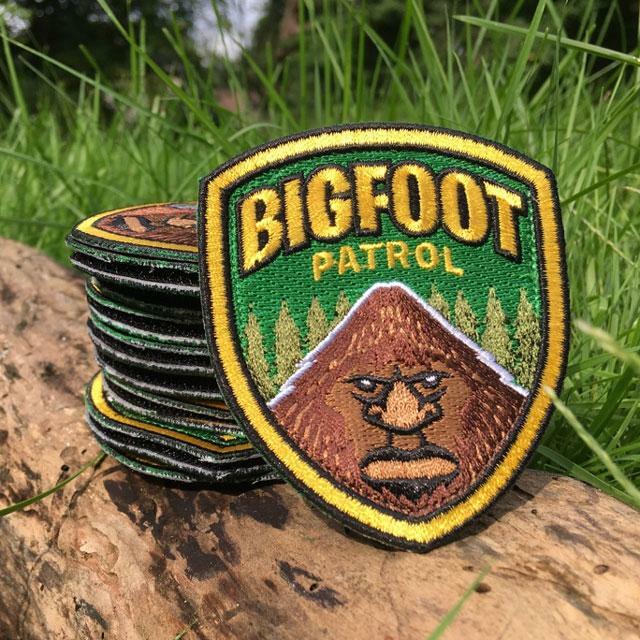 A number of people commented that they’d be willing to purchase one of his Bigfoot drawings if it was an embroidered patch. This led to the pursuit of Coghill producing his park ranger themed Bigfoot Patrol patch. 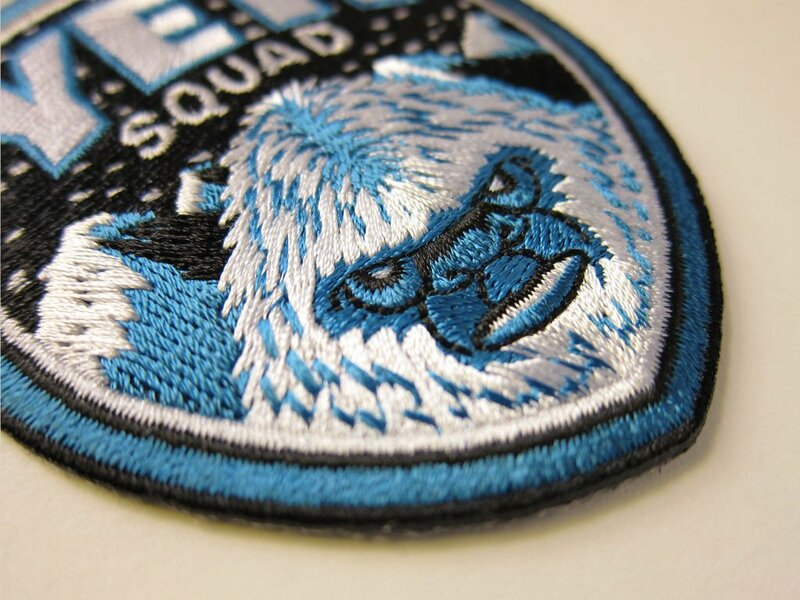 After a failed Kickstarter campaign, a second campaign for the production of the park ranger themed Yeti Squad patch proved successful. Since then, the company has begun to take off and is currently gearing up for its 12th Kickstarter campaign. 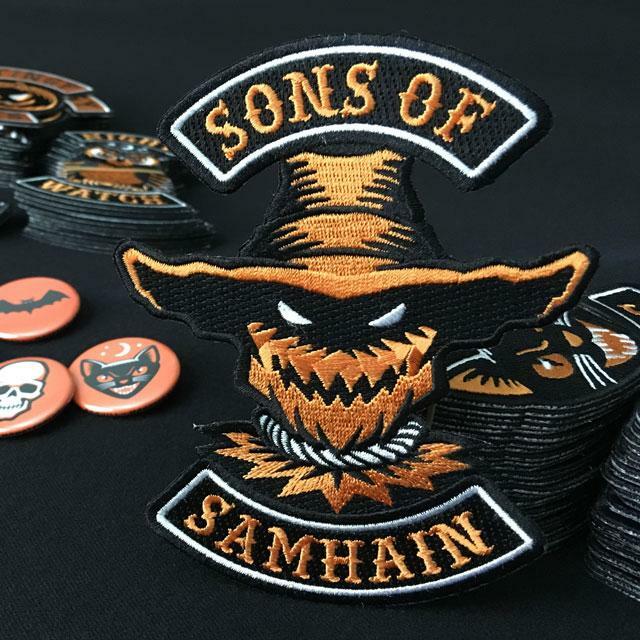 This campaign will be full sized back patch of the “Sons of Samhain” Halloween, scarecrow motorcycle club patch. It’s the number one requested patch online and at events. 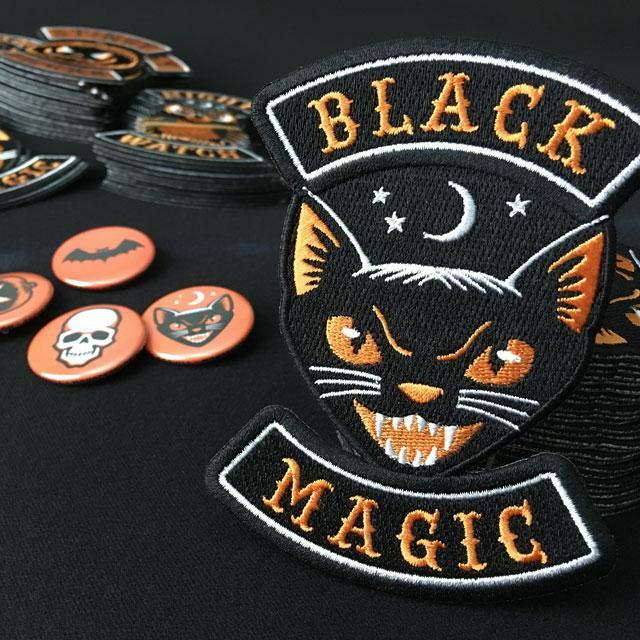 His previous classic Halloween creatures motorcycle club patches (black cat, skull, witch, scarecrow, owls, bats) are still extremely popular and remain his top selling product. The next campaign (which will be the 13th) will be the classic horror movie monster set. It will include Frankenstein’s monster, a vampire, werewolf and sea creature, and perhaps some surprise monsters if enough funds are raised. I for one am looking forward to this set, being a huge horror/monster nerd. It’s bound to be a thing of beauty. Most patches range from around $7 to $20 dollars each, depending on size and availability. The buttons are $2.50 each, a collector’s absolute dream come true. Such an amazing and unique collection to choose from. There are also some awesome vinyl stickers. You can pick up a John Carpenter “They Live” alien head, as well as a variety of different Mothman themed stickers. 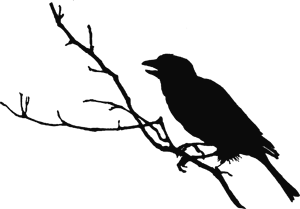 So, be sure to check out Monsterologist.com. The company is definitely on the way up and shows no signs of slowing down anytime soon. It’s one hundred percent original and out of the ordinary.